Does it mean that a Mutual Fund distributor would sell any Mutual Fund scheme to the investors just to earn commission? Well, the regulations are very stringent in this regard. 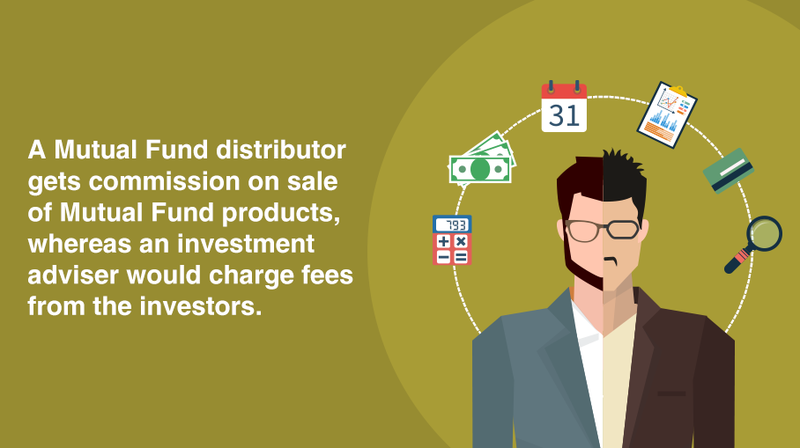 If a Mutual Fund distributor sells a Mutual Fund scheme that is not suitable for the investor that would qualify as “mis-selling”, which is an offence. A Mutual Fund distributor is required to understand the investor’s situation/risk profile and recommend products suitable for the investor’s needs at the time of recommendation. On the other hand, an investment advisor may look at a broader picture, which may include assessment of the investor’s assets, liabilities, income and expenses and recommend products. Both are registered entities and hence regulated, too. While investment advisors are registered directly with SEBI, the Mutual Fund distributors are registered with AMFI – the Association of Mutual Funds in India, which is the association of the Mutual Fund industry.